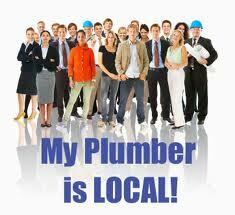 If you are having unforseen plumbing problems, call Plumbers Milltown today. We provide a fast, professional and efficient range of plumbing services to Milltown and the whole of the County. We cater for all possible types of plumbing services and plumbing emergencies imaginable. Our local team have gained vast experience over the years in the industry and we bring this extensive experience to every job we are called to complete. Our team are polite and punctual, along with our outstanding professionalism and customer service this makes us the number one choice when it comes to emergency plumbing services in Dublin. All Plumbing & Leaks, including location and repair. Gas & Oil Boiler replacement/Service. Complete Kitchen and Bathroom Installations/Sinks/Showers/Baths/Toilets. We offer 24 Hour emergency call out service. Power flushing/Rodding/Jetting and C.C.T.V. Inspection. Bathroom and Kitchen Tiling Services. Drains and Blockages and any other plumbing issues. All Pipe works/Thawing/Sewer Line Repairs. We know that is can be difficult to find a good reliable plumber, our customers can be rest assured that we offer the highest quality of service. We guarantee all our work that is carried out and we have full indemnity insurance providing you with total peace of mind and at a fraction of the cost of some of our competitors. At Plumbers Milltown, we do not charge for call outs. We offer free advice and are happy to give you a free no obligation quote.Call 01-6874850 today to speak to one of our team today. When you need assistance fast just pick up the phone and call us. We would be happy to assist.